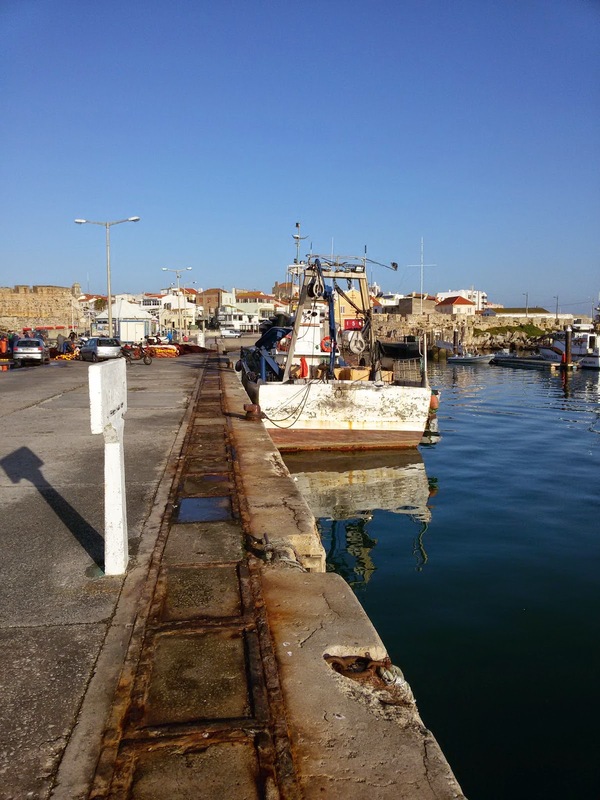 The Dutch Sailor, a blog follower, visited me on the boat on a sunny afternoon during a short holiday in Peniche. Luckily, I was ahead in my work and so we sat down for a long interesting conversation. Funny thing, he told me he wants to upgrade from his current 29-foot boat to a 40 footer. I want to do the opposite. It's the old "the dream is always better on the other side of the pontoon" syndrome. As I talked to this former motorcycle racer turned sailor, freelance engineer...I was reminded that the fun in talking to other sailors is that there's never a shortage of like-minded interests: from anodes to anchors, from transmissions to solar panels. Took this early morning shot shot next to the marina. In the midst of the conversation, I received a message with a large job for the weekend, for Tuesday to be exact. Absolutely out of the question because I had already planned a road trip to the Algarve, including a stop at one of my favorite anchorages twenty miles up the Guadiana River. More about that in the next post. Many regards to your female readers! Never heard of Nordic walking before, had to look it up. Don't trade your 33-footer for a paddle board, you can't even take lunch on those things. I'm getting inspired to write a post about "boat buying pitfalls." I'm highly qualified, as you can see.